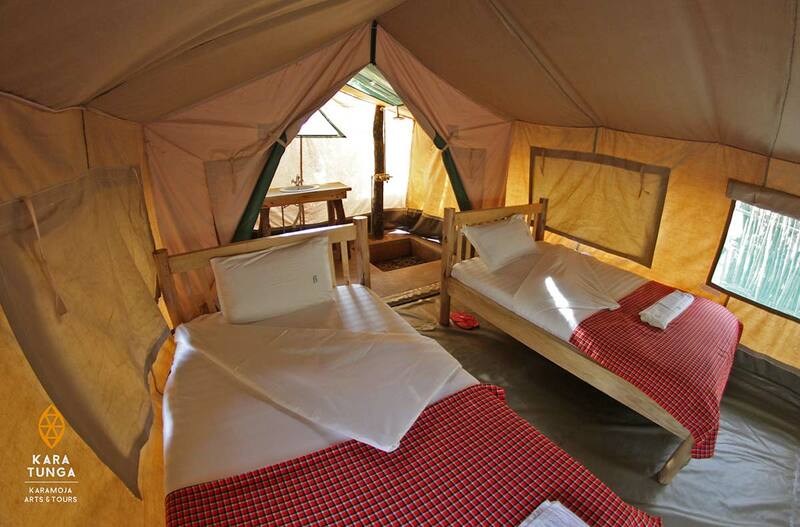 Kara-Tunga, Karamoja Safari Camp: Tented accommodation in Moroto is located in the beating heart of the Karamoja region at the slopes of Mount Moroto (3085m). 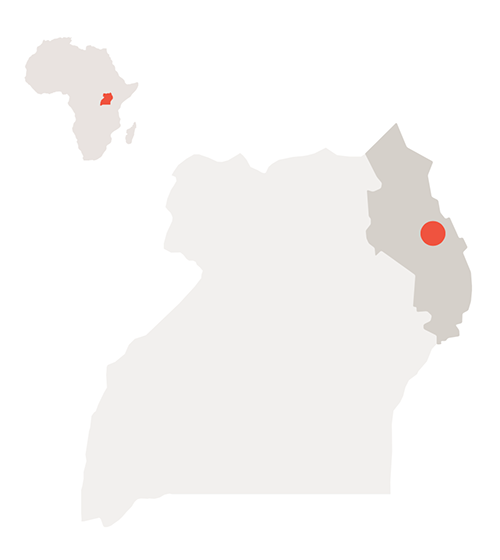 A central location that serves perfectly as base for your adventure through northeast Uganda (4hrs from Sipi Falls – 5hrs from Kidepo Valley National Park). 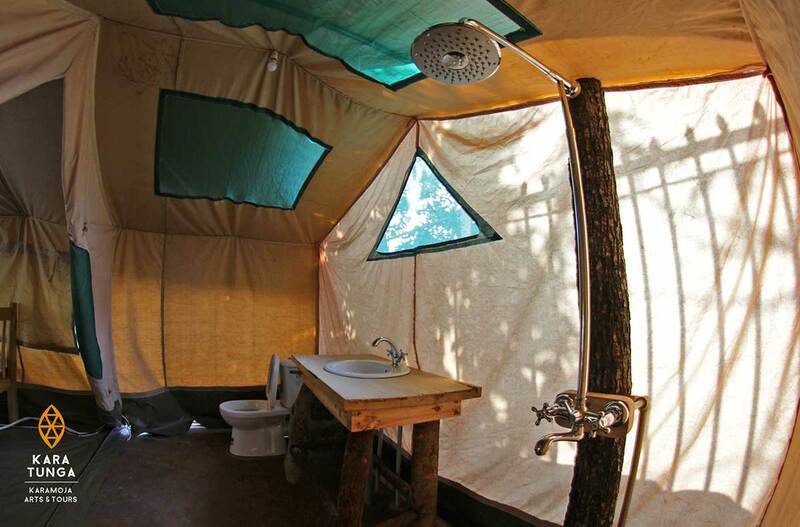 The camp design is a blend of traditional customs and local materials with a modern touch. 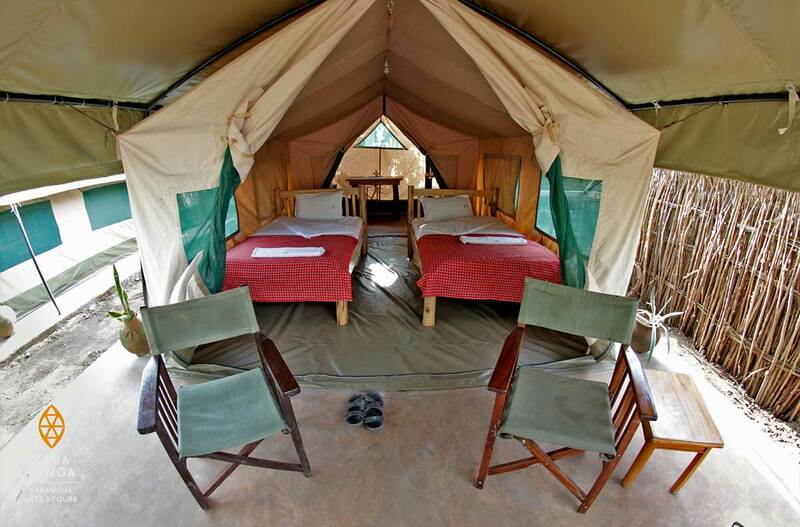 An unique experience of heritage, comfort and hospitality during a safari through Uganda’s untouched northeast. 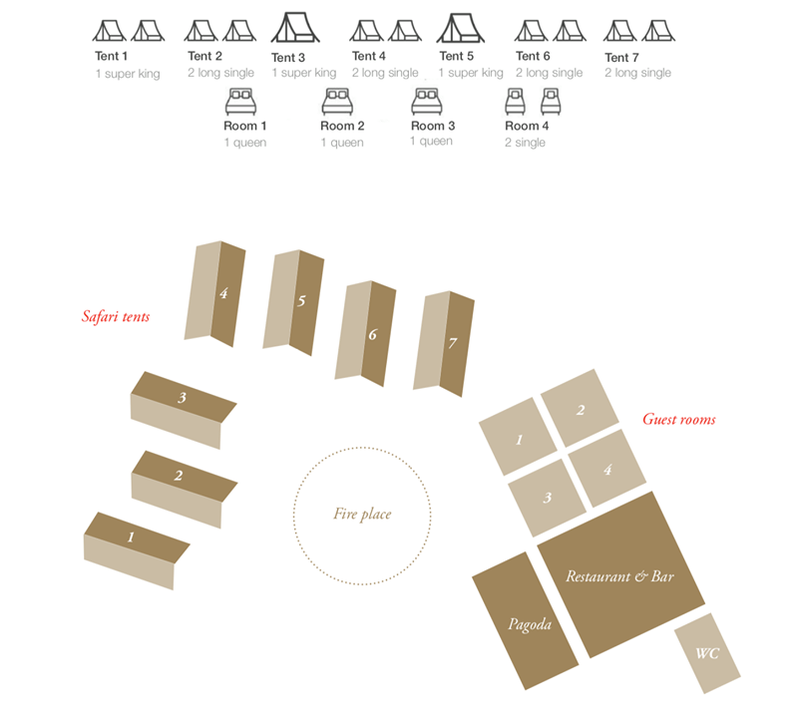 The 7 spacious safari tents have long (210cm/6’7ft) king size beds, a private verandah, solar heated showers, electricity to charge equipment, flushing toilet and washing basin. 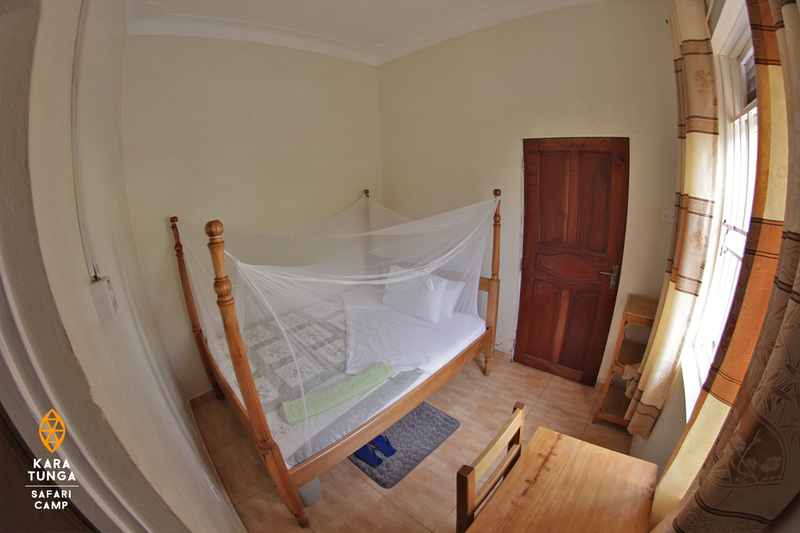 The guest house contains three self contained double and twin bedrooms of comfortable size with queen size beds and one twin room with two king size single beds.